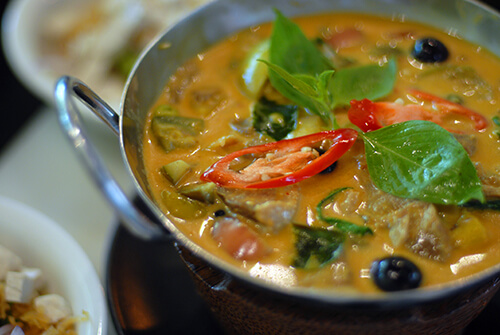 Learn about Thai herbs and spices before cooking your meal. 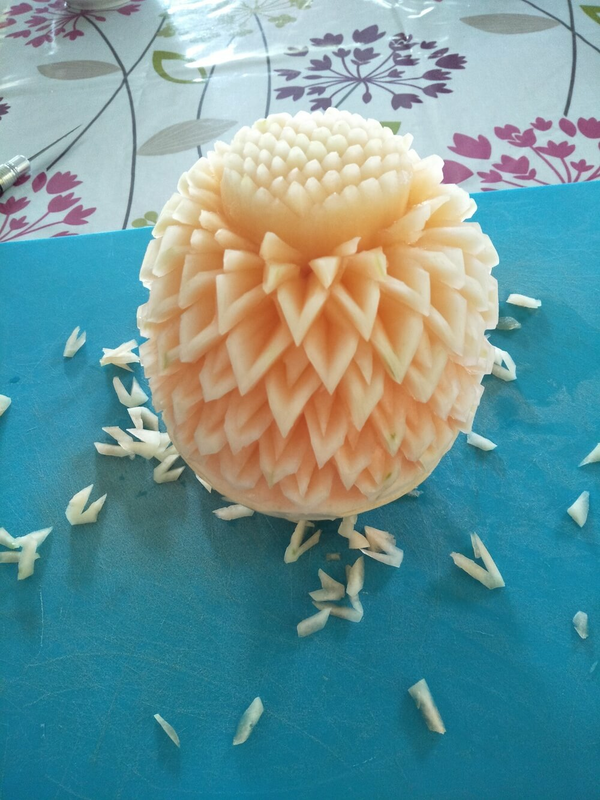 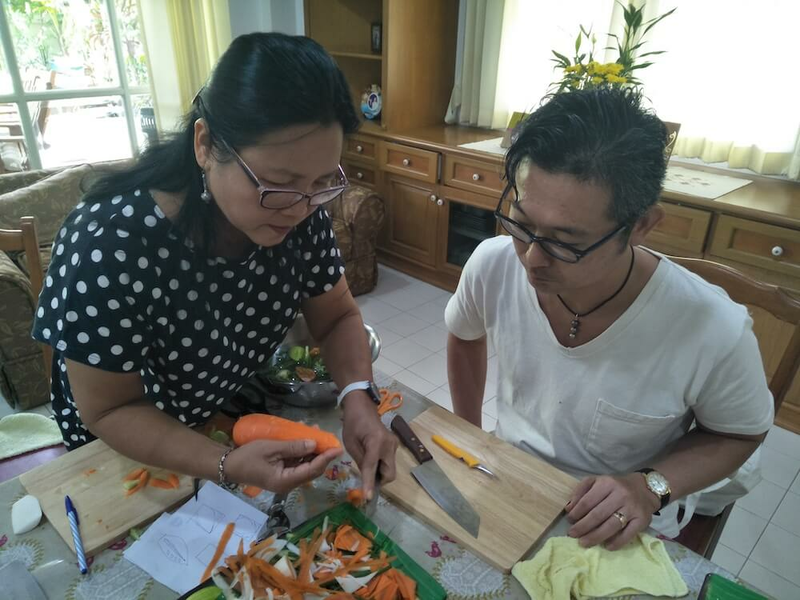 Learn techniques like how to use a knife. 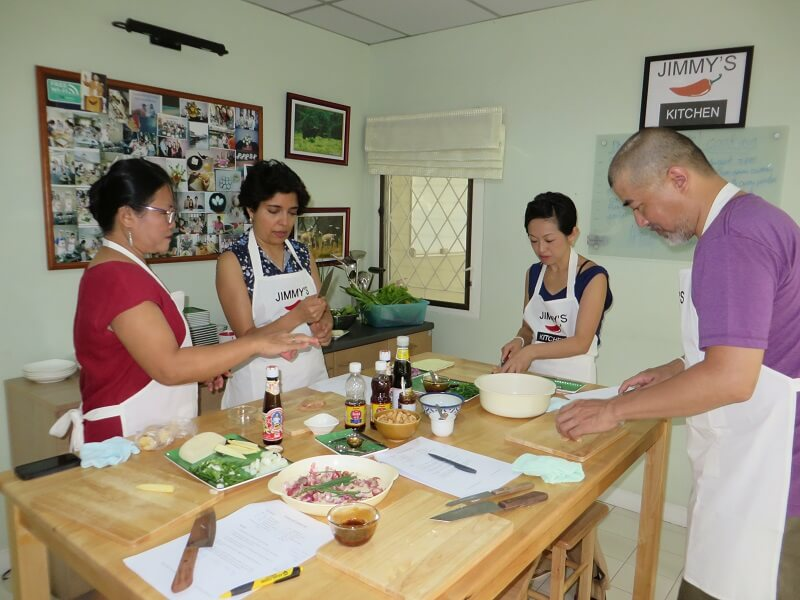 Make curry pastes etc from scratch. 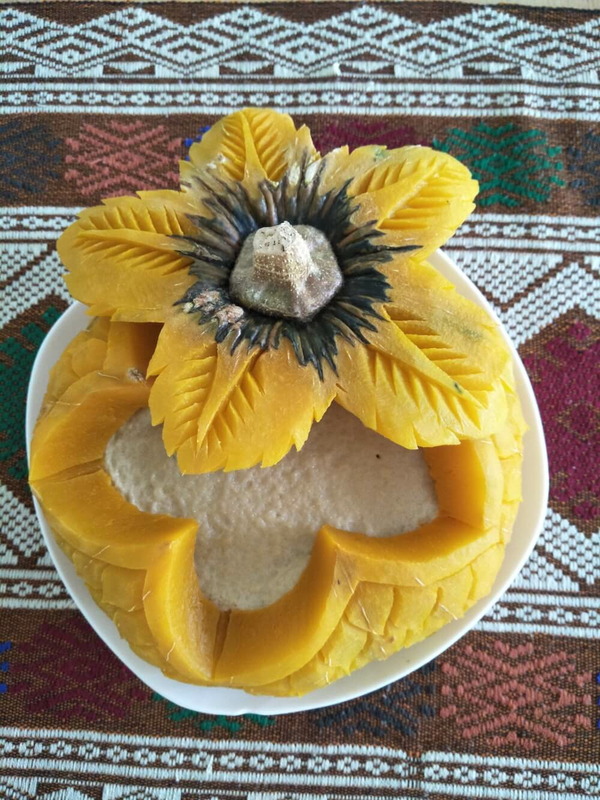 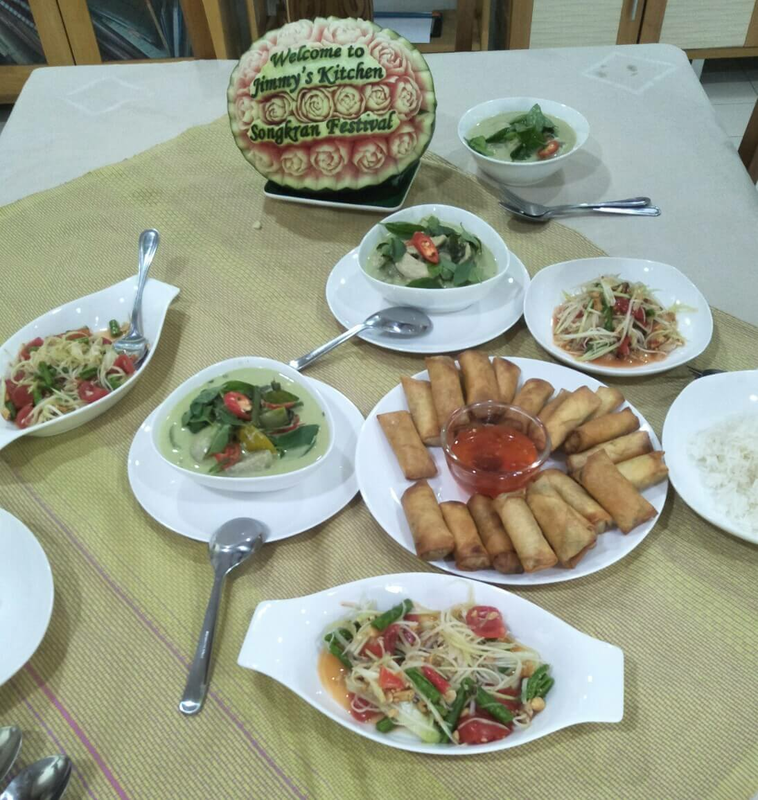 Prepare and cook three dishes and eat them. 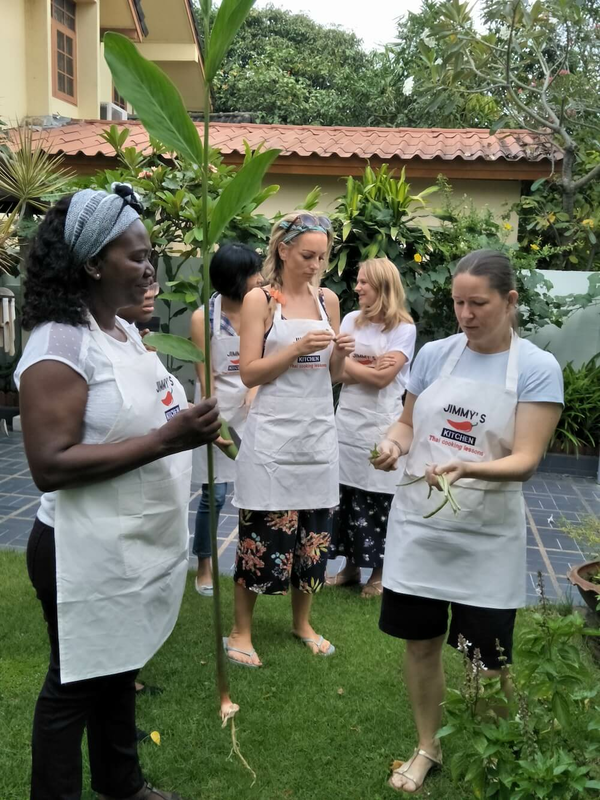 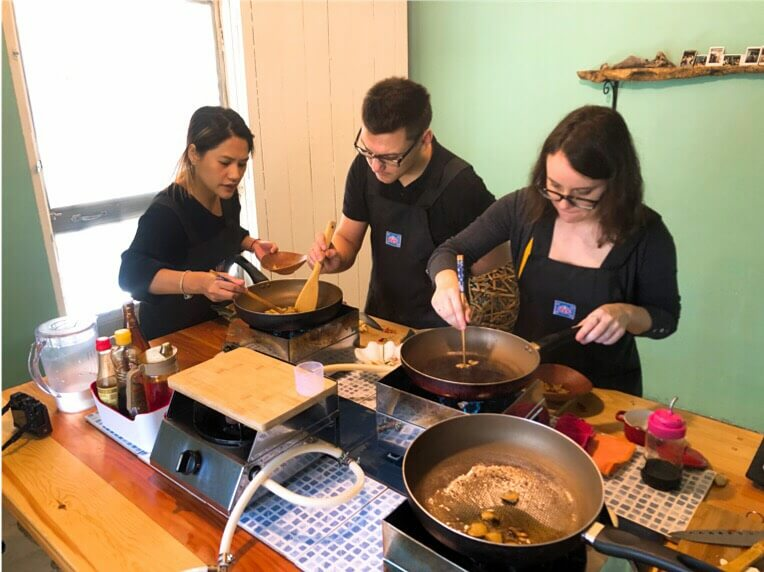 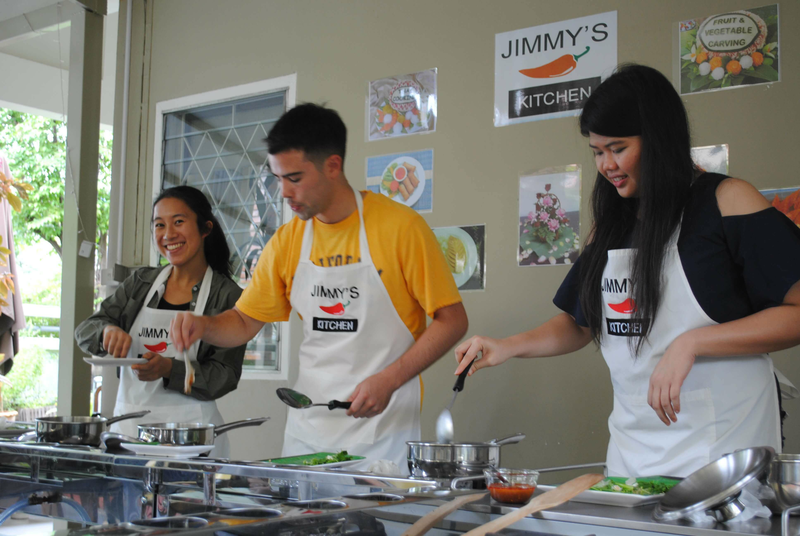 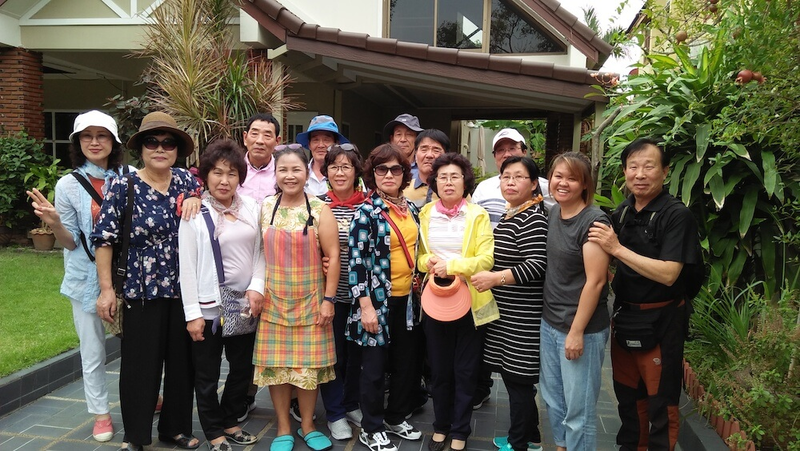 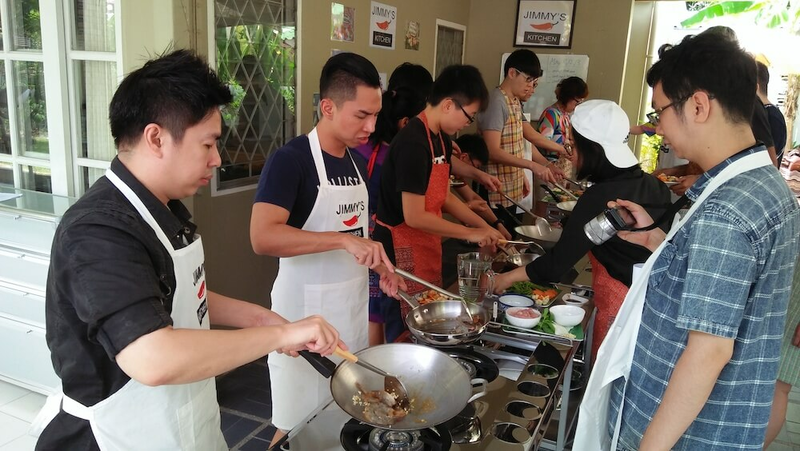 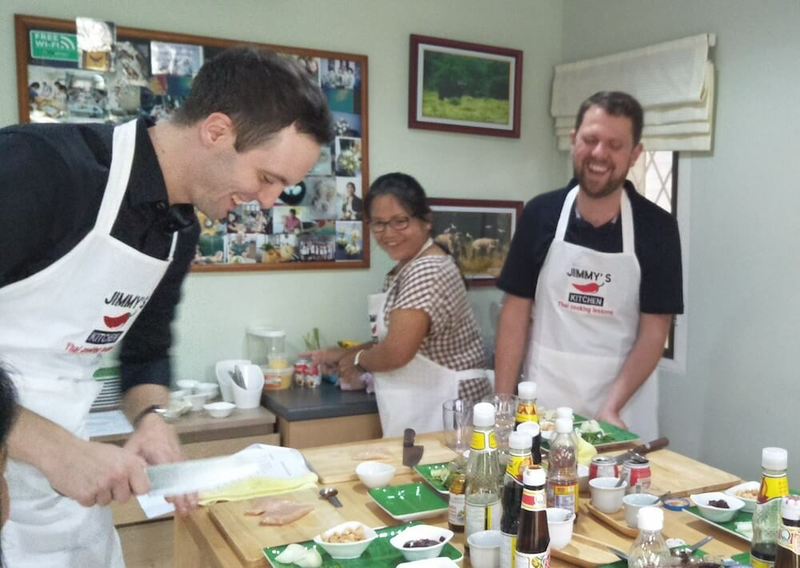 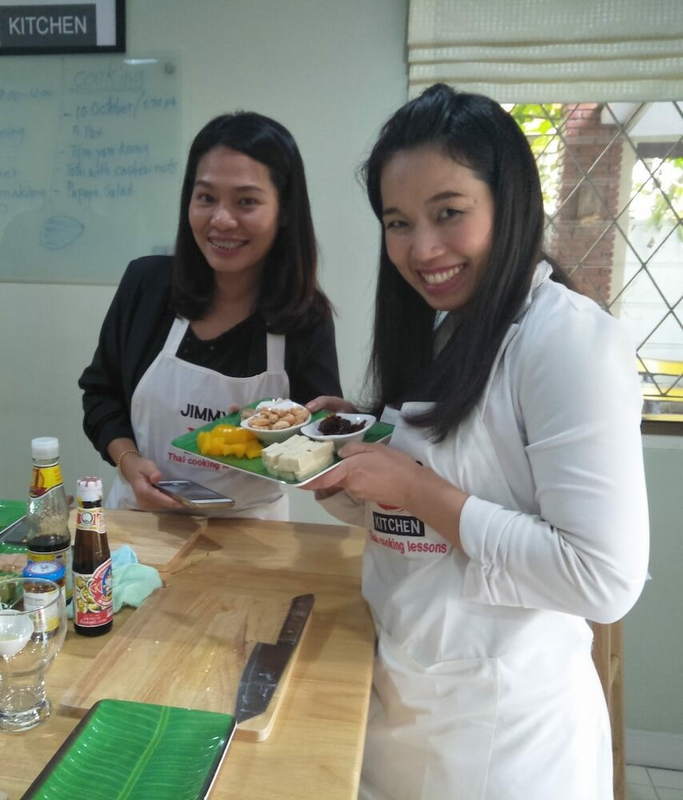 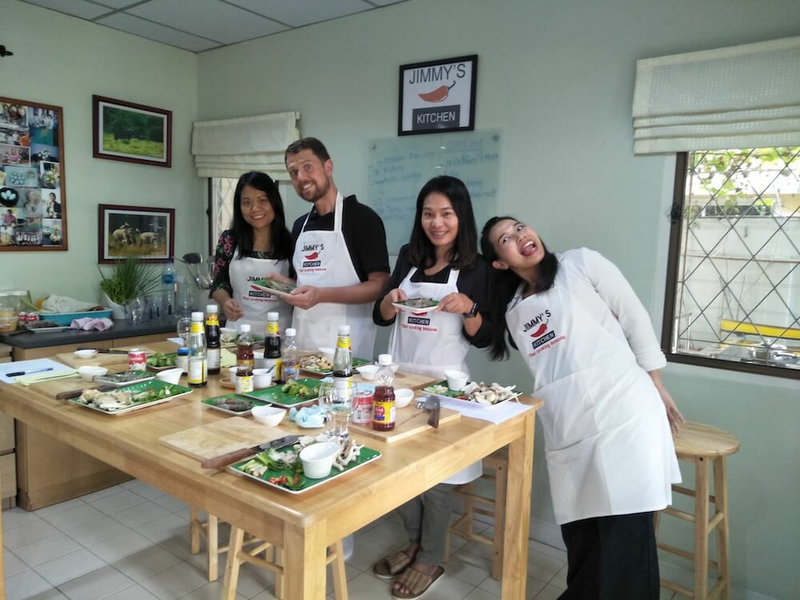 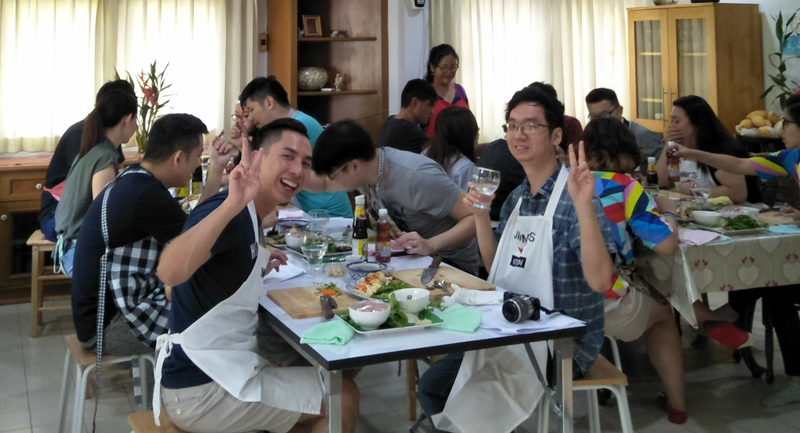 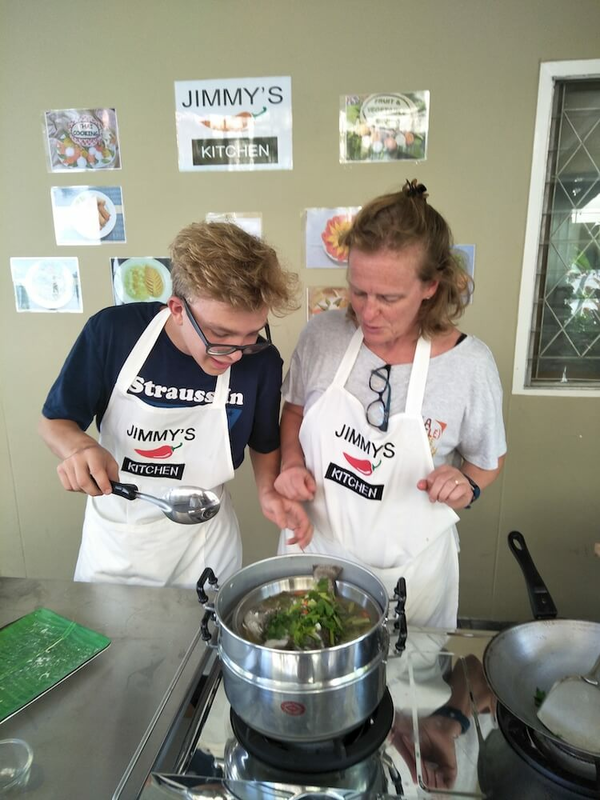 Jimmy's Kitchen has been called Bangkok's friendliest cooking class. 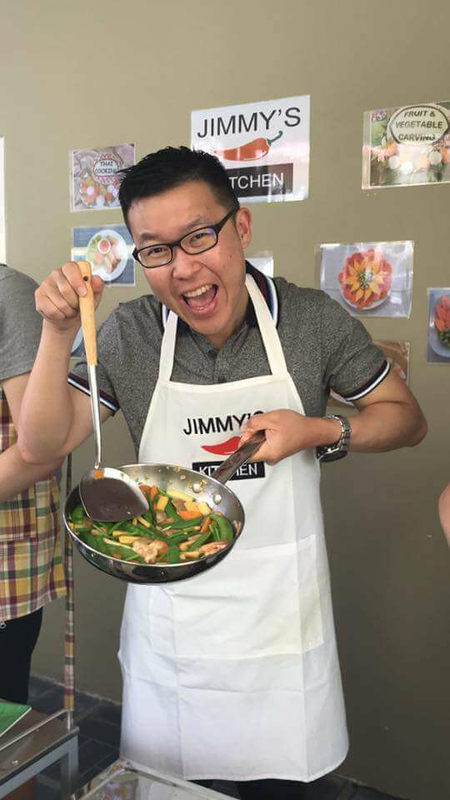 Hi, my name is Jimmy. 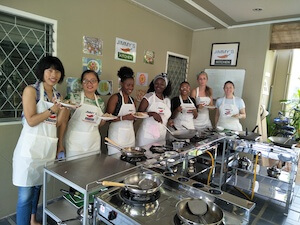 I've been teaching Thai cooking for about 15 years. 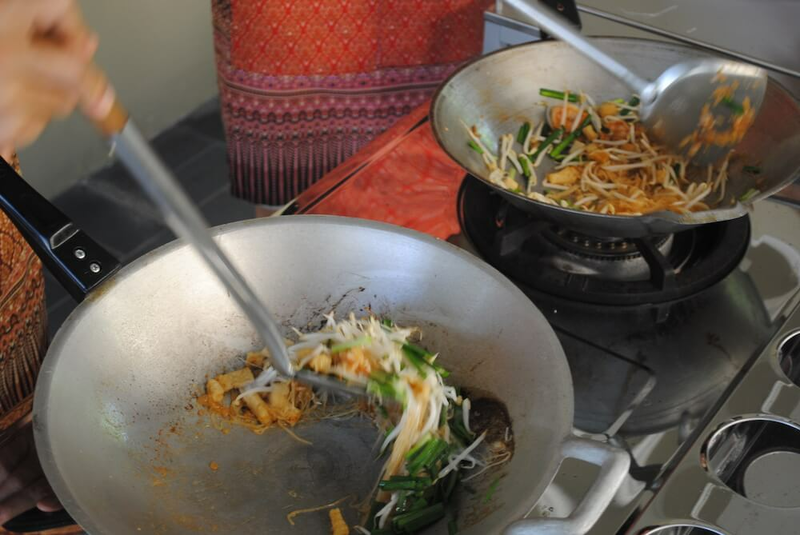 When you come to me, you can choose the dishes you want to cook. 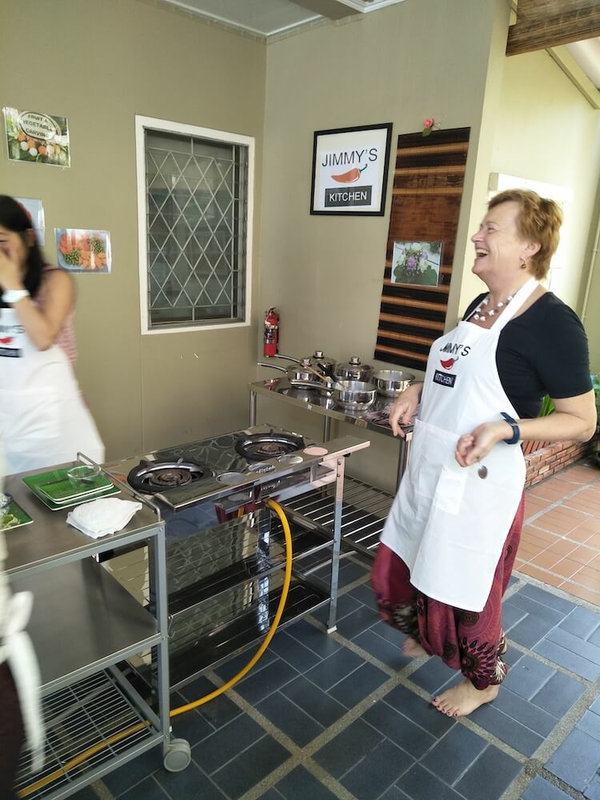 You'll learn about the herbs and spices we use and pick them fresh from my garden. 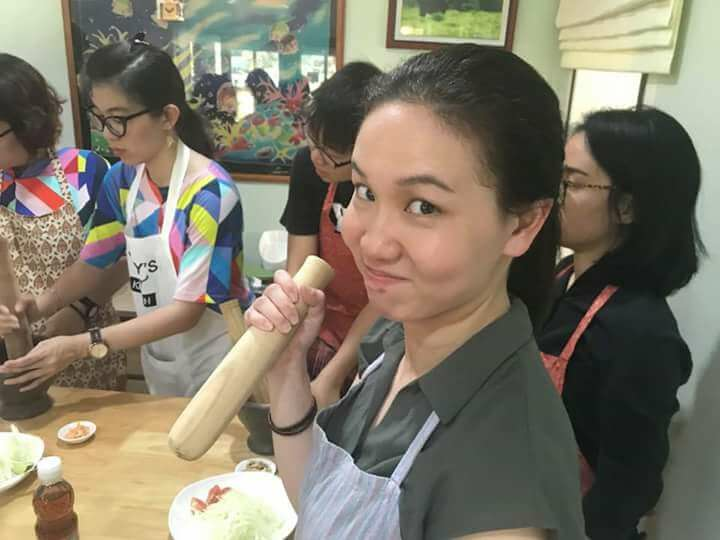 You'll prepare and cook three dishes then you'll eat what you've cooked. 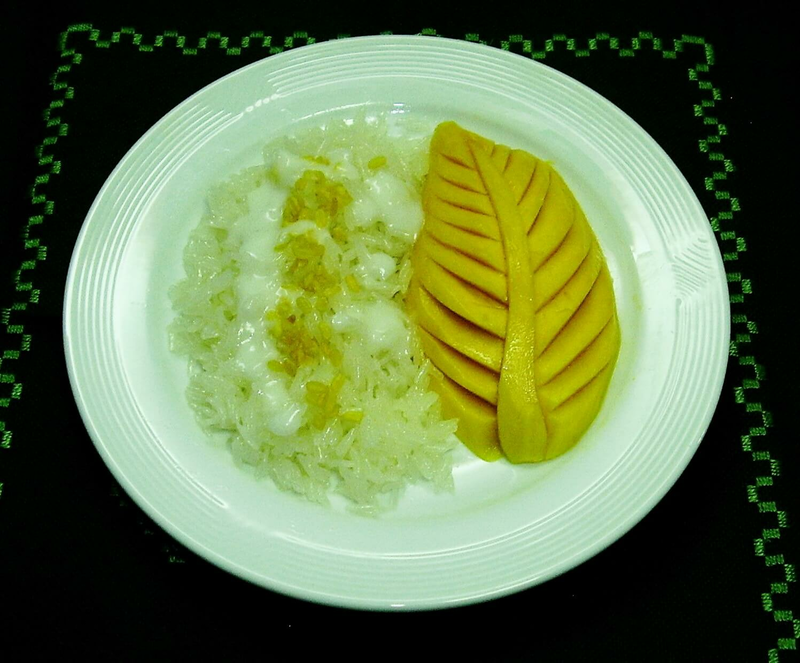 I have learned a little Japanese and I speak English fluently. 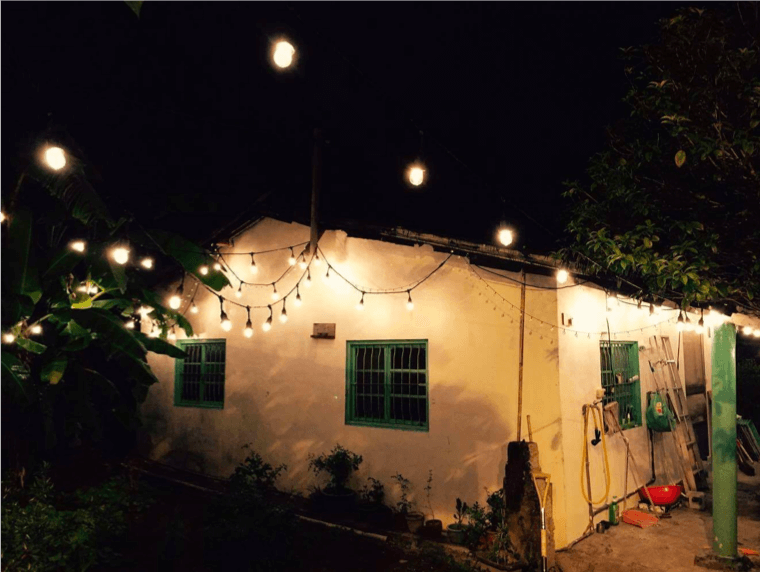 I hope to welcome you to my home soon.